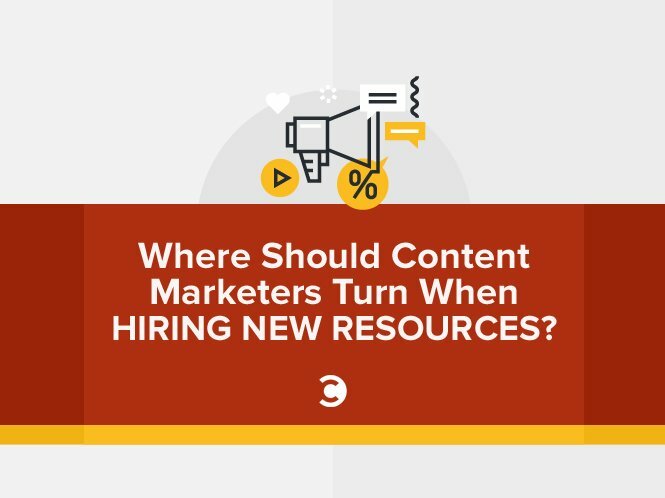 Where Should Content Marketers Turn When Hiring New Resources? If you’ve made the decision to increase your content marketing efforts, improve your overall campaign performance, or fill gaps in your current content processes, there seems to be no shortage of solutions. You could hire internal specialists, work closely with a consultant, batch together a mix of freelancers, off-load everything to a professional agency, or, if you’re like most marketing teams, manage some combination of them all. Learn about the pros and cons of hiring freelancers, contractors, consultants, agencies, and internal hires, so that you can make a confident and informed decision when executing your content marketing needs moving forward. Whether you need them for a single project, every few months, or for ongoing challenges, building relationships with quality contract professionals can help you tackle even the most niche content marketing tasks. Freelancers are typically hard workers who are eager to prove their value, because their business depends on recurring work and satisfied clients. While some choose to work on retainer, others work by the hour, charge by the word, or prefer a project-based agreement. Since this content marketing solution is often arranged through a 1099 contract, this minimizes risk and expenses for your organization. For example, there is usually much less HR paperwork to sift through, less onboarding, and no guarantee of benefits such as paid time-off or 401k. Contractors are available with a variety of skill sets, expertise, and budget options. This means that the key to hiring a great consultant or freelancer is to be very clear in what your organization is looking to accomplish. Start by considering the expertise and resources that you already have at your disposal. Think beyond your team’s functional skills and execution, and look at the type of work that they are strongest at executing. For example, some content managers are strategic thinkers and long term planners, some are more creation-oriented, and others are excellent at administrative tasks, organization, and process management. After you’ve identified the type of contractor that you are looking for, the next step is to hone in on a budget. Consider the quality of work that needs to be performed, what a successful project will look like, and how much all of it will be worth to your marketing team. Remember, while freelancers can be a cost-effective solution, it’s not always best to find the cheapest solution. Marketing agencies often offer full-service solutions, optimized content marketing processes, and detailed reports or analytics of the work that they perform. The larger firms that work with the likes of Under Armour, Chevrolet, or Nike are known for crafting nationally-recognized campaigns that drive millions of impressions and personalized brand experiences—but also come with a hefty retainer fee. Smaller agencies typically specialize in niche areas of expertise, such as SEO, video production, or web design and can offer more budget-friendly solutions. The ideal agency relationship is typically more long-term than a relationship with a contractor or freelancer. Again, since agencies come in a variety of shapes and sizes, the key to finding a strong solution is to be crystal-clear on what you are looking to accomplish and do your due diligence on researching potential partnerships. After you’ve identified your core content needs and a handful of possible agency solutions, it’s time to dive deep. In addition to inspecting each agency’s web content, reviews and testimonials, and service offerings, you should research their employees on LinkedIn and other applicable social channels. Ask the agency to share who will be responsible for working on your account, and then find their profile on LinkedIn to assess whether they have the background and skill set to accommodate your content needs. For example, if your team needs help with search engine optimization, you should identify whether the professionals assigned to your account have an extensive background in SEO and any other complementary skills that could be helpful to your cause. The agency should also openly share examples of work that they have created for other clients—specifically from an industry similar to your own. While this process can be time-consuming, by assessing the background of any professional that you may work with for talent, expertise, functionality, and overall compatibility, you can make a better decision when choosing an agency partner. Building an internal content marketing department is often the most expensive route to take initially when you consider recruiting and talent search, HR, benefits and insurance, and onboarding time. However, internal hires can be the strongest long-term investment if handled appropriately. Today’s content marketing is often complex with best practices quickly evolving. The key to building a successful internal content marketing department is to organize a team of professionals with mixed yet complementary skills and strong communication, rather than several rockstar experts. Concentrate on creating a team of collaborators that understand how to work and grow together while adapting to uncertainty through a changing industry. To find a great internal content hire, start by thinking about the key areas you need help in on a fundamental level. Think about the administrative, leadership, creative, strategic, and execution needs of your content department, and make a short list of must-have attributes. Conceptualizing your needs can help you determine what factors are most important in a new hire and help you narrow in on the right type of candidate. It’s important to prioritize these attributes—it’s unrealistic to expect to find a professional that checks all the boxes, particularly in smaller job marketers. If you have niche needs or are having trouble finding the ideal candidate near your office location, consider interviewing remote candidates. Remember that software expertise can be learned over time, but general marketing and content knowledge can take much longer to build. When considering budget, the costs associated will ultimately depend on each candidate’s experience and your organization’s geographic location and need. For example, if your company is in a smaller or less-competitive market, salaries tend to be much smaller, whereas Silicon Valley content marketers will likely be much more expensive. To get a stronger idea on how much other organizations are paying for talent, look at sites such as Glassdoor, Indeed, and PayScale. Remember to also consider the types of skills needed for each position, because those factors can great impact salary. The correct content marketing solution is typically a combination of the solutions listed above. You should experiment with, or at least speak with, a few of different types of content solution options to find how each can help your business accomplish your unique content goals. Have you hired freelance employees, worked with a content marketing agency, or hired an internal content team?What sort of challenges did you have to overcome? Did you find more success with internal hires or external resources? Share your experiences and any feedback that you may have below.